Posted February 6, 2019 by Ryan Austin & filed under Newswire, The Infrastructure. Québec’s public utility, Hydro-Québec, has announced that it will install 1,600 fast charging stations over the next 10 years. 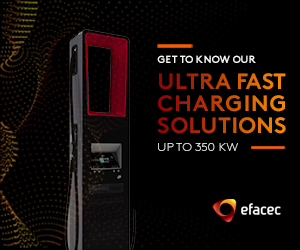 It has already deployed 22 new fast charging stations in 2019, and hopes to deploy about 100 in total by the end of the year. as part of its public charging network the Electric Circuit. The utility also plans to expand the network in areas that currently have fewer fast charging stations, and to increase the density of the network in the busiest areas in order to eliminate waiting times at some stations in peak hours, particularly along highways. In June 2018, the Canadian National Assembly unanimously adopted new legislation that allows Hydro-Québec to use revenue from the increase in electricity sales generated by charging at EV owners’ homes to fund the installation of more fast charging stations. Hydro-Québec hopes that this will allow it to continue rolling out EVSE without raising customers’ electricity rates. Under its fast charging infrastructure program, Natural Resources Canada selected three Hydro-Québec projects to receive approximately $5 million ($3.8 million US) in financial assistance, which will fund the installation of around 100 fast charging stations, including 10 “superstations” with four fast charging stations each, 40 fast charging stations on the north shore of the Fleuve Saint-Laurent (St. Lawrence River) and 20 fast-charge stations on the south shore. There are currently close to 40,000 electric vehicles registered in Québec and the Electric Circuit already has more than 1,700 charging stations, including 168 fast charging stations. And here in Ontario the Fat Fascist is tearing out charging stations at GoTrain stations and he cancelled the EV incentive. I agree it was a little too rich but now it is gone. Correction: The Quebec National Assembly adopted the said legislation, not the “Canada National Assembly” which is actually called the Parliament of Canada. We have two layers of government in Canada, just like you folks down south.